As 3D printing continues to evolve, advancements in the technology have already forged new trends and unlocked new possibilities for key industries like aerospace, automotive and medical. But the disruptive impact of 3D printing is not limited to these well-known cases – the technology also has huge potential in other, perhaps lesser-known areas too. With that said, let’s take a look at our top 10 unexpected industries set to be disrupted by 3D printing. The medical field is among the top industries pioneering research into 3D printing, with the technology already being used to create patient-specific implants, prosthetics and dental devices. However, advancements in 3D bioprinting and regenerative medicine could be the real game-changer for the medical world. Bioprinting is the process of layering living cells to grow organic structures using 3D printing technology. These bio-printed structures have enormous potential in the field of regenerative medicine, which seeks to restore the structure and function of damaged tissues and organs. With a great deal of research being conducted in this area, medical researchers have already made strides in tissue and organ engineering. While this seems to be delving into the realm of science fiction, bioprinting has the potential to transform regenerative medicine by introducing a fast and sustainable way of producing complex transplantable human tissues and ultimately organs. 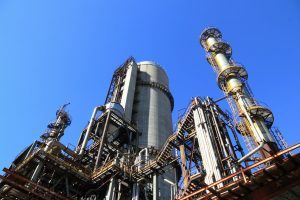 According to a SmarTech report, 3D printing revenues in the oil and gas industry are expected to reach $450 million by 2021, with several key players investigating the opportunities of the technology. While 3D printing is already leveraged as a prototyping tool in the industry, the most disruptive potential of the technology may lie in the production of spare and end parts. Last year, Siemens Oil & Gas, for example, made headlines when it revealed its production of gas turbine blades, with improved functionality, using 3D printing. Shell is also investigating 3D printing as a part of its digitisation strategy. Currently, the company uses the technology to test and validate 3D printed prototypes of various components, significantly reducing product development times. However, the company is also recognising the opportunity to use 3D printing opportunities to produce functional equipment components. 3D printing could therefore transform the way in which equipment components are produced and delivered, which could be particularly beneficial in locations where the supply of replacement parts is limited, or where logistical issues is likely to cause delays. 3D printing has taken off in film production, as it provides a way for filmmakers to create realistic and detailed props. A great example is this year’s biggest superhero blockbuster: Black Panther. 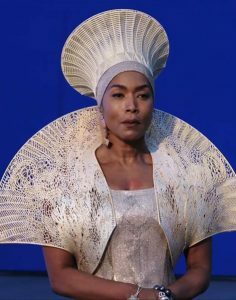 Thanks to the freedom of design afforded by 3D printing, costume designers, Ruth E. Carter and Julia Koerner were able to create the impressive crown and a curved mantel worn by Queen Ramonda (played by Angela Bassett), blending the elements of traditional African style and futurism. The benefit of 3D-printed props is reducing the cost of highly expensive visual effects. This is because in some cases, 3D printing props is a cheaper and potentially faster alternative to creating computer-generated images. As more film studios are actively engaging in 3D printing efforts to meet tight deadlines and provide more realism, the technology has a big future in the filmmaking industry. While 3D printing has already revolutionised the production of architectural models, advancements with the technology are pushing the boundaries of what is possible within the construction industry. Now, the prospect of 3D printing bridges and houses may just be a reality, with the benefit of reduced costs and time. One example is Apis Cor, which recently 3D printed a residential house in just 24 hours. To achieve this, Apis Cor used a robot with 3D printing capabilities, coupled with a concrete mixture to create the walls, partitions, and building envelope on site. The cost of the project was just over $10,000. Looking ahead, such technology could potentially offer a solution to the current housing crisis by providing affordable homes in poverty and disaster-stricken areas. Shanghai-based company, Winsun, is another emerging pioneer in the field, having already created several houses using 3D printing technology. The Dubai Future Foundation office building is another Winsun’s projects. Taking just over two weeks to create (17 days), it has achieved the milestone of being the first 3D printed, fully functional office building. Will 3D printing completely replace traditional construction methods? We don’t believe so. However, the technology does have the potential to provide greater design freedom and more sustainable processes for the construction sector industry. 3D printing is a perfect fit for the fashion industry, as it allows fashion designers to creatively experiment with innovative shapes and designs. Fashion shows have already begun to showcase the innovation of 3D printed garments. For example, Dutch fashion designer Iris van Herpen exhibited dresses created with the help of 3D printing “Foliage” technique at Paris Fashion Week 2018. The “Foliage” technique, based on Polyjet 3D printing, allowed van Herpen to 3D print intricate and soft leaf patterns directly on a semi-transparent fabric. Three combinations of resin material were used to achieve the colour and transparency. Although for now, 3D printed garments are primarily created for aesthetic purposes rather than for everyday use, companies are working on the development of 3D printers that are able to print with flexible and biodegradable fabrics. As the technology evolves, custom eco-friendly outfits 3D printed at home or in the store might be not so distant future. The disruptive force of 3D printing has also reached the footwear industry, with major footwear giants such as Adidas already using the technology for prototyping and direct manufacturing. 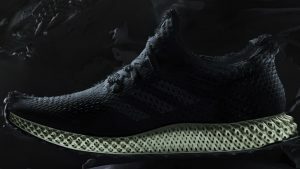 A great example is Adidas’ 3D printed midsoles for its Futurecraft 4D sneakers, set to move into mass production by the end of 2018. But perhaps the biggest potential of 3D printing for the industry lies in the possibility of mass customisation. Thanks to 3D scanning and printing technology, footwear manufacturers could potentially create custom-fit shoes at scale. With Adidas and others taking the first steps towards this future, this possibility may become a reality faster than we think. 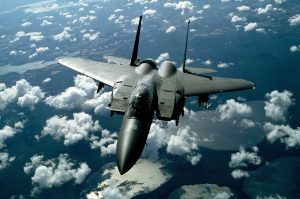 3D printing could potentially have a disruptive impact on military supply chains. 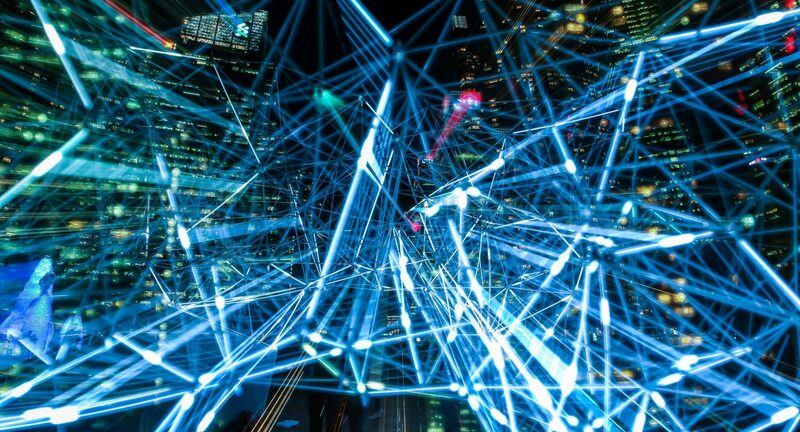 The US military spends billions of dollars on logistics and transportation; however, 3D printing could help to drive these costs down by replacing physical warehouses with digital inventories. This means that the need to source spare parts and components could be eliminated and the complexity of supply chains reduced, as physical parts are replaced by 3D printable digital files to be produced on demand. In addition to simplified supply chains, 3D printing can be used to create customised equipment, from 3D printed drone airframes tailored to the specific function to customised garments for soldiers with built-in sensors and antennas. Ultimately, the technology could provide more flexibility and functionality in the battlefield with on-demand and localised manufacturing. With the cost of desktop 3D printers falling and the emergence of online platforms enabling consumers to share 3D printable designs, the toy industry could see a more “DIY” approach to manufacturing toys. A study conducted by Michigan Technological University and London-based company MyMiniFactory suggests that 3D-printed toys could save consumers millions of dollars per year. But 3D printing offers other benefits in addition to reduced costs: consumers can also customise toys or create new toys that are not commercially available. Looking ahead, we may even see some toy manufacturers selling 3D designs to consumers instead of the finished products. 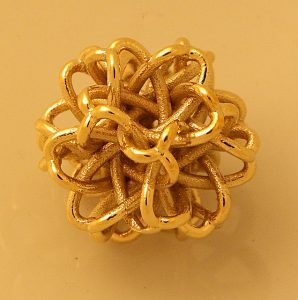 3D printing has already made its way into the jewellery industry with 3D-printed wax and resin patterns used for investment casting. However, the next evolutionary step for the technology is direct 3D printing with precious metals. Last, but not least: the education sector. Schools, universities and research institutions are increasingly integrating 3D printing technology into their classrooms and curriculums. As 3D printing provides a cost-effective and relatively quick way to create complex objects from 3D models, students can have access to a technology that fosters creativity and innovation. For example, students at the Oslo School of Architecture and Design (AHO), a long-time user of AMFG, are able to experiment with complex, architectural designs using the technology. The upswing in demand for 3D printing has led to many universities introduction AM-specific programmes. For example, Loughborough University is among the educational institutions pioneering design for additive manufacturing education through its newly launched Masters’ programme. Ultimately, additive manufacturing is changing the conventional approach to design engineering, helping universities forge the next generation of 3D printing professionals. For several of the industries listed above, the advantages of 3D printing are still beginning to be explored. However, as knowledge of the technology increases, it’s clear that 3D printing has the potential to transform the way in which products are produced and distributed. And as the additive manufacturing continues to evolve, the value of the technology will only continue to expand.